AccorHotels, the global leader for travel and lifestyle, has commissioned the international brand Talent Web (Webedia Group) to promote its digital platform among 17-35 year olds. 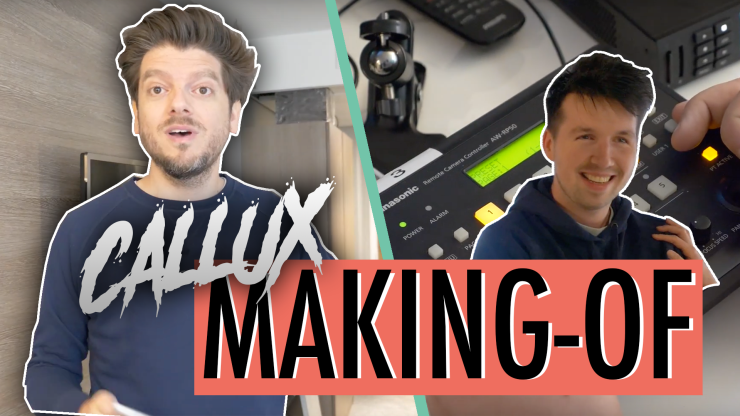 In less than 5 days, Grégory Guillotin and Callux’s videos have already achieved more than 1.4 m views, making them the top ranked YouTube trend in France. The story begins when British YouTuber Callux (4.5 m fans) booked a weekend in Paris on www.accorhotels.com. The trip was supposed to be the opportunity to produce a vlog about a romantic getaway in Paris for his YouTube channel, and for the Instagram Stories (1.1 m followers) of his girlfriend Sarah Close, who was in on the deception that was to come! The filming was a real challenge for Greg since the target was Callux, a man who is well used to pranks being a prankster himself. Secondly, this was Greg’s first prank in English with his strong French accent providing additional comic effect to the video. The final challenge was production, with the planting of 20 hidden cameras throughout the hotel and the coordination of a dedicated technical team. With this brand-new video format, www.accorhotels.com sets the scene for a legendary encounter, showcasing its hospitality and services expertise in the digital world with an original tone and an innovative format (pranking) on a broadcast channel hugely popular with 17-35 year olds. 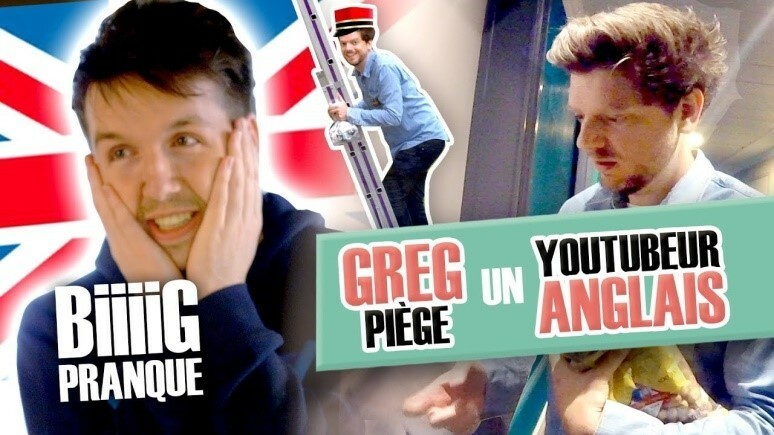 The Group’s signature, "Feel Welcome", is utterly embodied in this scenario, where YouTuber Callux’s totally personalized and unforgettable stay at the hotel creates a warm, human story, emotionally charged and full of self-derision. AccorHotels is a world-leading travel & lifestyle group and digital innovator offering unique experiences in 4,300 hotels, resorts and residences, as well as in over 10,000 of the finest private homes around the globe. Benefiting from dual expertise as an investor and operator, AccorHotels operates in 100 countries. Its portfolio comprises internationally acclaimed luxury brands including Raffles, Orient Express, Sofitel Legend, Fairmont, SO Sofitel, Sofitel, onefinestay, MGallery by Sofitel, Pullman, Swissôtel and 25hours Hotels; the popular midscale and boutique brands Novotel, Mercure, Mama Shelter and Adagio; much-prized economy brands including JO&JOE, ibis, ibis Styles, ibis budget and the regional brands Grand Mercure, The Sebel and hotelF1. AccorHotels provides innovative end-to-end services across the entire traveler experience, notably through the acquisition of John Paul, world leader in concierge services. The Group is active in its local communities and committed to sustainable development and solidarity through PLANET 21, a program that brings together employees, guests and partners to drive sustainable growth. Since 2007, Webedia has been targeting a passionate audience by building a global network of unique talents, media brands, events and services within the popular entertainment and leisure industries. With more than 50 sites and applications worldwide under their wing (AlloCiné, Purepeople, Puretrend, Jeuxvideo.com, Gamestar, 3DJuegos, 750g, Tudo Gostoso, Minha Vida, EasyVoyage, etc. ), and some of the most popular influencers on social media (Vanoss, Cyprien, Squeezie, Norman, Natoo, Sananas, El Rubius, Kéfera, etc. ), the Group attracts more than 188 million unique visitors* each month across all screens, including 31 million in France*. Webedia supports its clients with the definition and implementation of their digital marketing strategies, offering solutions that respond to their advertising, content marketing and e-commerce needs. Webedia joined the French investment company Fimalac in May 2013, under the leadership of Marc Ladreit de Lacharrière.